I didn’t end look pale and sick as I am during my sick days. As I’ve mentioned on my Instagram post and stories (follow me if you haven’t already), I caught a nasty cold in early October and spent the whole month coughing my lungs out. One thing I have struggled with throughout the recovering phase is how to make myself presentable- I have to meet people, I have to do the work but at the same time, it’s exhausting to put an extra effort in doing my makeup routine like I always do. I still want to make myself feel good, just because I feel terrible on the inside, doesn’t mean that I need to look like it on the outside, right?. Hansaegee Nature contacted me almost a month ago and asked if I’d like to give some thoughts on their CC cream and since I seek for a quick, “no-makeup” makeup look and a routine that would not take much of my time, I thought why not? it could be the perfect time for me to test it out. TL;DR: it’s an all-in-one skincare and makeup product smash up in a tube. CC cream is like the improved version of BB cream that often comes along with skin benefit properties like SPF, brightening agent and antioxidants though generally, it carries the meaning of “colour correcting” cream. This is because the main purpose of a CC cream is to treat discolourisation (dullness and redness). It definitely served a different purpose than a generic foundation or a BB cream. CC cream is recommended for all skin types due to its skincare-like ingredients and often formulated with fewer silicons and less oily texture. Apart from Hansaegee Nature S+Recover Gold Nano CC Cream that I’ll be reviewing today, there are a lot of CC creams in the market you can find at a wide variety of finishes and coverages, for example, Erborian High Definition Radiance CC Cream, It Cosmetics Your Skin But Better CC Cream, Innisfree Real Skin CC Cream, Banila Co. It Radiant CC Cream and Clio Water Me Please CC Cream. The only product in the same category I’ve used prior to this is the CC Cushion Intense Cover from The Face Shop. Where to Get/How to Buy? My experience: shipping only took one day (very fast!) and they shipped out the item using Pos Laju. You can get free delivery within Malaysia for the purchase of RM70 and above. 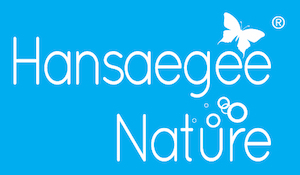 Hansaegee Nature is a skincare brand based in Malaysia and all of their products are made in South Korea. The word “Hansaegee” brings the meaning of “Korea Century”. It’s not my first time hearing about the brand because a local bridal makeup artist that I’ve been following closely loves to use Hansaegee Nature products on her clients, plus, this company isn’t new- they have been around since 2011! Their best selling product is actually the one that I’ll be reviewing today which is the S+Recover Gold Nano CC Cream. This CC Cream makes your skin look sleek and luminous while keeping it moist all day long. It has skincare and makeup benefits, with emulsion powder in the cream softly applied onto the skin, your face will stay bright and healthy without any oiliness. Nano-gold soothes skin troubles making your face look natural as ever. -Correct and balance skin tone colour naturally. -Prevent ageing skin and increases skin elasticity. These days my skin is normal-dry, definitely dehydrated, hence my pores are big looking. I have a couple of hyperpigmentation and sun spots that are red in colours and they need extra effort to conceal but at most time, I don’t try to hide them. Hansaegee Nature was kind enough to give 3 weeks of trial period before writing down the review. The product is housed in a medium-sized plastic tube and has a small nozzle opening which I’m approving because packaging like this is convenient for dispensing a cream that has a thickness to it. CC cream inside will not be leaked easily and the nozzle is also dispersing the right amount of product in a single pump. Hansaegee Nature S+Recover tube comes in a gold colour appearance to indicate the nanogold particles. It also has a good amount of opaqueness since the cream inside contains SPF30+ and anything with a clear packaging will make the UV filters to become unstable. With clean fingertips in the morning after cleansing. Mineral Water, Cyclopentasiloxane, Ethylhexyl Methoxycinnamate, Propylene Glycol, Water, Titanium Dioxide, 4-Methybenzylidene Camphor, Butylene Glycol, Dimethicone, Niacinamide, Cetyl PEG/PPG-10/1 Dimethicone, Cetyl Ethyhexanoate, Quaternium-18 Bentonite, PEG-10 Dimethicone, Caprylic/Capric Triglyceride, Sodium Chloride, Dimethicone/Vinyl Dimethicone Crosspolymer, CI77499 (Mica), CI77491, Silica, Allantoin, Fragrance, CI77499, Zanthoxylum Piperitum Fruit Extract, Usnea Barbata (Lichen) Extract, Adenosine, Disodium EDTA, Xanthan Gum, Oryza Sativa (Rice) Callus Culture Extract, Sodium Hyaluronate, Glycerin, Phenoxyethanol, Lecithin, Colloidal Gold. 3. This CC cream largely consists of solvents (water, mineral water), silicones (Cyclopentasiloxane, dimethicone) which explains the smooth texture and its ability to use as a makeup primer, 3 UV filters and humectants (propylene glycol, butylene glycol). There’s also niacinamide and allantoin in the middle of the ingredient list, the former is used in a lot of brightening skincare products while the former is a well-researched ingredient that promotes skin healing and used as an anti-irritant product. The rest of the ingredients mainly have skin conditioning properties and there are also several plant extractions. 4. Almost all of the ingredients are listed as “low-risk” according to EWG Health Rating standard. The only ingredient that’s not friendly is 4-Methylbenzylidene Camphor (Enzacamene); an organic UV(B) absorber but bare in mind, not everyone reacts the same towards a certain ingredient. The SPF is listed as 30+ and Ethylhexyl Methoxycinnamate and Titanium Dioxide are the other two ingredients that help to block harmful UV rays from the sun. *Finishing= radiant or minimum sheen. *Consistency= light to medium, it closely resembles the texture of a physical sunscreen. *White Cast= zero to minimum. This Korean made CC cream has an easy application with just blending it out using fingers. It will be good if you are a beginner in makeup or someone who doesn’t have the accessibility to makeup tools. It can be useful for touch up too and I’m thinking of something that you could bring inside your bag and use it after prayers in between work. Upon squeezing it out from the tube, you can see that the cream is white in colour and has a lot of tiny brown capsules. Interestingly, when you blend it out, the cream will turn into brownish colour, similar to a foundation. It will leave a moisten and glowing looking finish that’s able to resemble your original skin colour if you blend it out properly with the right amount of product. -1 pump for natural finishing. -2 to 3 pumps for brightening up effect. The natural finish is partnered with a light coverage that will tone down the redness of your skin. Bigger bumps or imperfections will need concealer or foundation to complete the flawless look but if you prefer natural finishing, this Gold Nano CC Cream is really good to be used by its own. Meanwhile, the scent is soft and not overpowering at all, lovely! It has a moisturiser thickness, not too light as a hydrating moisturiser but not as heavy as an occlusive moisturiser, let’s say the Cetaphil Moisturizing Cream that I did a review before. On the makeup point of view, it’s less lightweight than watery foundation and this CC Cream is definitely less oily than almost all foundation or BB creams I’ve tried. The best comparison I can give is; the texture reminds me a lot of a physical sunscreen! I took my hand swatch for a water test, and it seems to be waterproof. You can see a lot of water droplets on a small part of my hands covered with Hansaegee Nature CC Cream. One thing that surprised me the most is how this CC cream is able to minimise pores appearance, hence making my skin looks smooth. You can totally see differences in the picture below. This will smoothen out your skin and ready for the next layering.Another point I’d like to highlight is using Hansaegee Nature CC cream as a primer. It’s actually no stranger that CC cream is designed to be a makeup primer, but this item I’m talking about here is A REALLY GOOD PRIMER! You guys remember some time ago when the beauty industry got shook after Nivea After Shave Balm? It works so well because it has glycerin and a sticky consistency to it. The finishing of this CC Cream reminds me a lot of the sticky primer in the market that serves a purpose of making your makeup looks vibrant and long-lasting. First picture: outdoor lighting + without flash. It’s not recommended to store the product in a place with high or low temperature and has a direct exposure to sunlight. This is due to the active sun filters formulated inside. Since the cream almost resembles a physical sunscreen and has a waterproof property, I’d recommend using double cleansing method to remove the cream from your face. At a price of nearly RM100, Hansaegee Nature CC Cream is on the pricier side tho but you’ll get the gold, like pure gold. Other famous gold-based skincare products such as Alpha-H Liquid Gold, Peter Thomas Roth 24K Gold Mask, Farsali Rose Gold Elixer and Omorovicza Gold Flash Firming Serum are also on the heavier price tags. Harini saya nak berkongsi tips sedikit memandangkan ramai yang bertanyakan cara penjagaan kulit supaya boleh bebas cela dan tampak muda dan ceria selalu. Malu juga biasanya kalau orang tanya tips macam ni, sebab biasanya lepas tanya tips tulah jerawat banyak naik, hahahaha! Terus teringat tutor di universiti dulu yang kulitnya sangat gebu tetapi pantang ditegur kulit cantik. Katanya, setiap kali orang tegur kulit cantik, tentu kulit dia akan breakout. Macam kena sumpahan gitu. Okaylah, sebenarnya bukannya senang bagi orang yang pemalas dan berkulit sensitif macam saya untuk dapatkan kulit yang bebas cela. Sejujurnya sewaktu remaja dulu, saya diserang jerawat yang sangat teruk sampaikan terpaksa berjumpa dengan doktor. Selepas pulih, saya pastikan saya lebih berhati-hati dalam penjagaan kulit, tapi biasalah, bila dah sibuk kadangkala terbabas juga. Berikut adalah kompilasi tips untuk mendapatkan kulit bebas cela hasil pengalaman saya sejak beberapa tahun ni. Okay, yang ni tak tipu. Kalau nakkan kulit yang sihat, memang kena bersenam. Kuncinya, pastikan anda bersenam sehingga badan panas dan berpeluh. Sebagai seorang pemalas yang malas bersenam selama 30 tahun yang lalu, saya baru sahaja mengetahui kepentingan bersenam dalam mendapatkan kulit yang sihat. Itu pun secara tak sengaja. Dua tahun lepas, saya terjebak dalam Program ‘The Biggest Loser’ dalam syarikat, masa tulah baru berjinak-jinak dengan senaman. Dipendekkan cerita, dalam tempoh setahun saya kerapkan bersenam, kulit memang nampak berseri. Mungkin kerana peredaran darah lebih lancar dan metabolisma meningkat. Jadi, sesiapa nak kulit cantik, marilah pakat beramai-ramai untuk bersenam. Okay, sebenarnya saya tak minum air manis. Tapi apa yang saya nak sampaikan, bagi mereka yang gemarkan minuman manis, bertukarlah kepada air kosong untuk mendapatkan kulit yang cantik. Kajian mendapati gula antara pencetus keradangan. Jadi apabila kulit mudah meradang, jerawat sukar untuk pulih dan mudah bernanah dan seterusnya meninggalkan parut. Bagi mereka yang sememangnya tak minum air manis macam saya, cuba perbanyakkan minum air kosong. Ya, tak dinafikan saya memang jenis yang liat untuk minum air kosong, sebab tulah kulit senang kering terutamanya bila sentiasa di dalam bilik yang berpendingin hawa. Tapi saya juga dapati kalau saya banyakkan minum air, kulit jarang kering atau bersisik. Yep, memang cliche. Tapi tak dinafikan tidur memang penting. Tanpa rehat yang mencukupi, sel-sel badan tak mampu regenerate. Oh ya, bukan sahaja kena tidur mencukupi, pastikan juga anda tidur dari sekitar pukul 10 malam sehinggalah 2 pagi kerana ini adalah tempoh emas tubuh kita memperbaiki dirinya sendiri. Ingat tu! Kalau banyak kerja tak siap sekalipun, usahakan untuk tidur pada pukul 10-2 tu, dan bangunlah sekitar pukul 4-5 untu siapkan kerja. Bolehlah solat subuh terus. Ha, untuk melindungi kulit supaya kekal sihat, pastikan anda juga memakai krim tabir suria setiap hari. Barulah kulit terlindung daripada cahaya matahari UVA dan juga UVB. Kalau sunburn nanti teruklah pula! Bagi mereka yang memakai alat kosmetik dan solekan. Pastikan ia bersifat non-comodegenic. Barulah ia tidak menutupi liang roma anda dan membolehkan kulit anda bernafas. Tak adalah masalah black head, white head dan jerawat. Ramai yang menggunakan mekap tetapi tidak membersihkannya dengan sempurna. Kalau boleh, buat triple cleansing. Kalau saya, saya akan bersihkan pertama kali dengan minyak, kali kedua dengan wet tissue dan kali ketiga barulah dengan cleanser. 7. Pilih Cleanser Yang Mampu Bagus. Jangan pandang rendah cleanser ya? Cleanser yang bagus memang antara penyumbang terbesar kepada kecantikan kulit anda. Pastikan anda pilih cleanser yang tidak memberikan kesan kering dan terik pada bahagian wajah selepas cucian. Bagi mereka yang mempunyai kulit yang lebih cenderung ditumbuhi jerawat, carilah jenis yang mengandungi Tea Tree Oil. Memang bagus untuk membendung sebum dan minyak berlebihan pada wajah kita. Ha, yang ni nak cerita lebih sebab kita sangat syorkan ALOE AC Clean Bubble Cleanser oleh Hansaegee Nature. 8. Last but not least, dapatkan produk penjagaan kulit yang bersesuaian dengan kulit anda. Ramai yang tahu tapi tak tahu tentang hal ini. Kenapa saya cakap macam ni? Sebab ramai yang gunakan produk penjagaan kulit tapi mereka tak tahu sama ada ia bersesuaian atau tidak dengan kulit mereka. Tak kurang juga mereka yang sering menukar produk penjagaan kulit kerana tidak dapat kesan yang mereka mahukan. Pilihan saya? 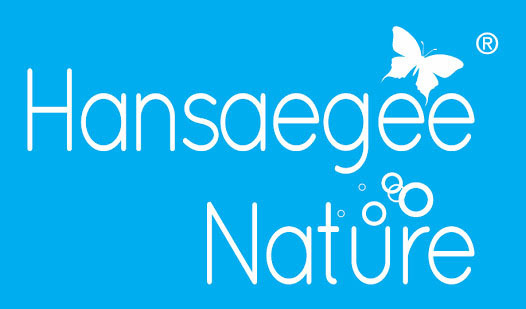 Sudah semestinya Hansaegee Nature Aqua Whitening Cream. Krim Hansaegee Nature Aqua Whitening ni bertindak sebagai pelembap dan pencerah kulit yang mampu memperbaiki kerosakan dan kemerahan-merahan pada kulit akibat selaran matahari (sunburn) Memang sangat sesuai untuk saya yang duduk di tepi tingkap pejabat serta sentiasa mengadap komputer. Jangan tak tahu, komputer juga mempunyai sinar UVA dan UVB yang mampu merosakkan kulit. Paling best pakai Hansaegee Nature Aqua Whitening Cream ni lepas lunch dan lepas solat. Yalah, waktu lunch tu dah kena matahari terik. Kadang-kadang sampai panas je pipi rasanya. Tapi bilas apu je krim ni, terus rasa soothing dan lega gila kulit. Macam dirawat dibelai dengan kadar segera gitulah. Terus rasa lega kulit. Rasanya tu sajalah tips-tips untuk dapatkan kulit bebas cela. Kalau diamalkan, Insyallah kulit sihat dan bebas cela. Yang paling penting sekali bagi saya, bila kulit kita cantik dan sihat, jangan sesekali jadi takbur dan pandang rendah pada orang yang tidak mempunyai kulit yang cantik. Jangan fikir mereka tak pandai jaga kulit atau tak berusaha untuk dapatkan kulit yang cantik. Sebab saya sendiri pernah jadi salah seorang yang bermasalah jerawat. Saya tahu betapa keadaan kulit akan menjejaskan emosi dan keyakinan diri seseorang. Pokoknya, marilah kita bantu mereka dapatkan kembali keyakinan diri daripada menjatuhkan lagi semangat mereka. Betul tak? Baiklah, sekian tips kulit bebas cela dengan Hansaegee Nature daripada saya. Cleanser ataupun pencuci muka memang penting dalam skincare routine. Cleanser berfungsi untuk menanggalkan kotoran, minyak dan benda-benda yang tidak diperlukan atas kulit. Selain itu membantu juga untuk menanggalkan sel kulit mati. Sebelum ni memang I pentingkan pencuci muka. Kalau malas buat skincare routine yang panjang berjela tu pun, paling kurang I cuci muka guna pencuci muka sahaja. Dari tidur dengan muka kotor dengan bakteria, pencemaran udara tuuu eiii I tak sanggup. Dulu I tak pentingkan pun jenis pencuci muka yang I guna. Guna je apa yang I nak sebab bagi I pencuci muka tu untuk hilangkan kotoran je kan? Tapi sebenarnya tak. Pencuci muka pun memberi kesan pada kulit. Bila I baca lebih mendalam mengenai rutin kecantikan kulit ni banyak benda lagi I tak tahu…. Kalau korang ada baca entry I, Tips Liang Pori Lebih Bersih Dengan Hansaegee Nature, I tengah pakai pencuci muka Hansaegee Nature Aloe AC Clean Bubble Cleanser dalam rutin penjagaan kulit muka I. Aloe AC Clean Bubble Cleanser ni Original Made in Korea. Korang pun tahu kualiti produk dari Korea ni tahap macam mana kan? Memang berkualiti dan terbukti berkesan. I pakai start dari bulan 8 haritu, sekarang dah nak habis bulan 10. Pencuci muka I pun nak habis. Tahan dua bulan je?? TAK. Ikutkan mungkin boleh tahan 3-5 bulan bergantung kepada berapa kerap dan banyak mana korang pakai. Tapi disebabkan I pakai berdua dengan Aiman, cepat la habis. Itu pun dua tiga hari lepas Aiman baru tanya I nak beli dekat mana pencuci yang kita tengah pakai tu sebab dah nak habis. Ikutkan Aiman tak rajin pun nak kisah kalau pencuci muka habis sebab stok pencuci muka I banyak. Lepas habis yang ini boleh je pakai yang lain. Tapi dia sibuk nak beli yang ini jugak. Kalau korang nak tahu dekat mana boleh beli tunggu entry I sampai habis okay. Bagi I harga dia memang berbaloi dengan kesan dan isi produk yang kita dapat. Tahan lama pun ya. Hansaegee Nature pun selalu buat promosi dan kombo yang semestinya lagi murah dan berpatutan. Repurchase? Mesti la. I suka tahap pembersihan pencuci muka ni. Kesan pencuci muka ni pada kulit I, kulit lebih bersih dan licin. Korang boleh tengok gambar muka I jerawat kemain banyak. Tapi lepas rajin cuci muka bagi bersih bebetul dan skincare pun I rajinkan diri, kulit muka dah banyak gila berubah. Sekarang mungkin tinggal parut sikit yang I kena treat. Kulit muka I pun rasa bersih dan licin dari sebelum ni. Cara I pakai macam biasa je. Guna dua kali sehari pagi lepas bangun tidur dan malam sebelum nak tidur punya skincare rutin. I biasa guna satu pump je untuk satu muka sebab buih dia banyak dan bila campur air bertambah berbuih-buih. Sebab buih dia lembut, tak rasa kasar atau tegang pun pada kulit. Urut je buih pencuci muka ni dengan lembut pada kulit. Tak terlalu lama dan tak terlalu kejap. Lepastu boleh la bilas guna air biasa. Aiman pun sama. Kulit muka dia lagi la jenis berminyak. I yang jenis kombinasi ni pun dah rimas kalau berminyak dekat sesetengah area, yang jenis berminyak apetah lagi. Aiman kalau dia suka mesti dia puji-puji termasuk la pencuci muka Hansaegee Nature Aloe AC Clean Bubble Cleanser ni. Jerawat dia bukan makin kurang, tapi dah tahap tinggal parut jerawat je. Peningkatan yang bagus. Aiman bukan buat skincare rutin pun, dia cuci muka je. Kadang-kadang je kalau I rajin sikit I buatkan skincare routine yang lengkap. Kalau tak memang dia cuci muka dengan Bubble Cleanser ni jela. Sebab tu siap tanya dekat mana nak beli. A MONTH WITH HANSAEGEE NATURE AQUA WHITENING CREAM | Assalamualaikum Hai uols. Masih ingat lagi korang dengan produk Hansaegee ni yang pernah aku review tempoh hari ? So hari ni dah plus minus sebulan aku gunakan product tu dan sedihnya product pun dah habis 1 bekas walaupun cuba berjimat sedaya upaya sebab sayang sangat kalau habis. Feedback aku untuk sebekas ni memang best sangat tau. Aku lebih suka apply time malam malam, bangun pagi esok tu rasa muka lembab dan lembut. At first pakai memang rasa macam tak selesa sebab aku terapply banyak sangat dan tak sempat meresap lagi aku dah tidur. Hehehe. Jangan tiru aksi ini okay. Lepas dah tahu tu, aku kurang kan sikit kuantiti apply tu, tapi still double dari kuantiti apply pada waktu siang. Lepas tu massage lama sikit sampai betul betul meresap baru boleh tidur tau. So far aku pakai product ni sangat memuaskan. Siang dengan malam aku lebih prefer apply time malam untuk aku, sebab kulit muka aku cepat berminyak dan kalau siang aku aktif kesana kesini, muka cepat berpeluh. Tapi bila apply malam, hasil dia kebabom sangat lepas bangun esoknya tu, Muka jadi moist dan lembab. Bangun-bangun tidur tu terus rasa lembut. Ingat aku cakap dulu muka aku tengah sunburn kan? nak recover sunburn tu sangat susah pada aku sebab aku jenis suka main panas, baru nak hilang burn ni, burn tu yang datang. Tapi yang best nya bila petang kena panas, muka konfem jadi merah dan panas kan, malam terus apply Hansaegee Nature buat sebagai sleeping mask. Esok bangun merah2 dekat muka dah tak ada, kena jaga sikit lah jangan terdedah sangat dengan panas lepas tu. Then hari tu aku ada pergi Hatyai, panas dia Ya Ampun. Lepas balik hotel sebelum tidur terus tepek Hansaegee Moisturizer ni tebal-tebal. Dan effect lagi best sebab kat bilik hotel kan aircond, Lagi meresap dalam kulit dan tak melekit langsung. Bangun pagi rasa taknak cuci muka. Biasa kalau pakai dekat hostel kan kipas, Perlis pulak tu panas, rasa la melekit sikit, tapi biila kena dengan aircond, serius lembab dan tak melekit langsung dan rasa lembab dia sekata dan lembut. Untuk first review boleh baca dekat sini. Kat sini ada pasal texture dia, How to apply, apa yang paling suprise dalam product ni, kena baca dekat entry atas ni tau. Produk ni best sangat tapi sayang nya dah habis dan kena sambung lain. Sob3. Kena cepat2 beli ni baru kulit muka lembut kan. Sekarang tengah nak datang penyakit perempuan dan strees overload, memang jerawat membiak biak. So, kena lebih jaga pemakanan sekarang. Kena jaga skincare jugak. Jadi kena cari skincare yang betul2 elok untuk muka. Yang betul2 dipercayai bahan-bahan yang digunakan.